Sunflower Day Mullingar Friday 9th of June. 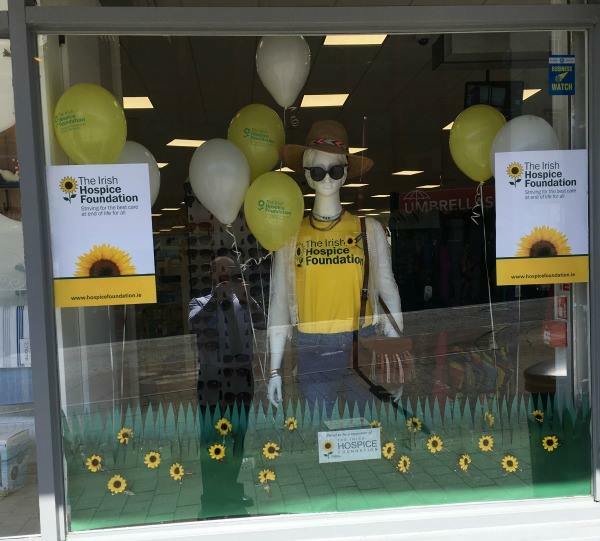 If you have an hour to spare support your local Hospice and sell Sunflowers for the North Westmeath Hospice – all money raised locally stays local.to support services in our community. or phone or text Veronica on 0860272710. If you can’t spare your time be sure to pick up a Sunflower. This Year Shaws Department stores have come on board in Partnership with the Irish Hospice Foundation nationwide and you can buy Pins Badges and Nail files from the store.